Before and after restoration of a faded old photo. Notice in the top histogram, the peaks of the red, green, and blue channels aren’t lined up and don’t reach to the left and right edges. That results in a color cast and reduced contrast. If you have software that has individual R,G,B levels or curves controls, it’s pretty simple to fix, and followed by fine-tuning of exposure looks like the bottom picture. I’ve used both Lightroom and Photoshop Elements to fix hundreds of old photos like this. 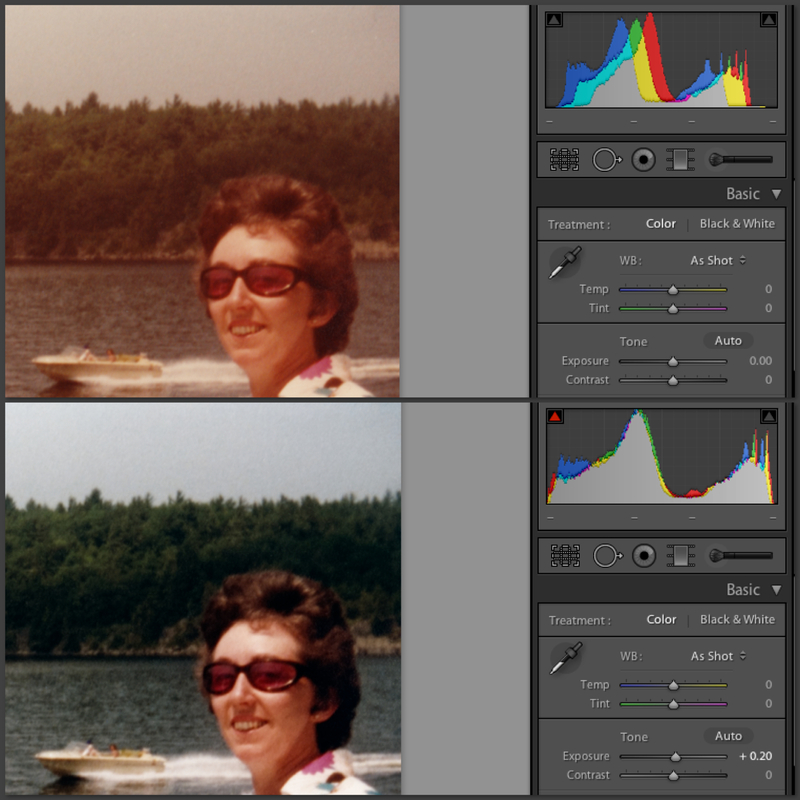 In Lightroom, it’s “Edit Point Curve” in the Tone Curve section. In Photoshop Elements, a Levels Adjustment Layer. Photoshop has a Curves Adjustment Layer as well, which is more flexible but can be harder to use. I start by moving the endpoints of all three channels to the edges, maximizing the contrast and luminosity range. If the results still have a color cast (often not the original one), I move midpoints until it looks the way I want. Sometimes I fine-tune it afterward with conventional white-balance controls (color temperature and tint).